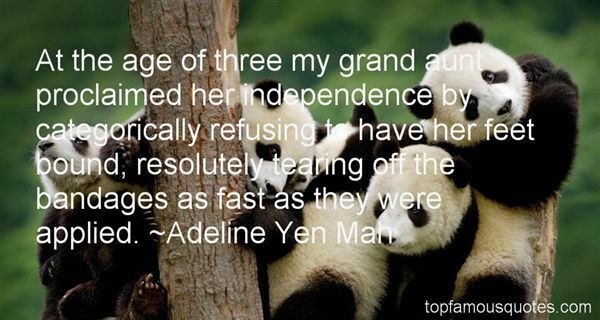 Reading and share top 13 Adeline Yen Mah famous quotes and sayings. Browse top 13 most favorite famous quotes and sayings by Adeline Yen Mah. I looked at the group of human remains that languished in the corner and smiled at them. It occurred to me that their very presence was testimony to the moral emptiness of the universe and the mechanical brutality with which it destroys the parts it no longer needs." What Did Adeline Yen Mah Talk About?